CARFAX One-Owner. Clean CARFAX. Certified. Super Clean Inside and Out, **TOYOTA CERTIFIED**, **LOW PAYMENTS**. Priced below KBB Fair Purchase Price! Blizzard Pearl 2017 Toyota Highlander LE FWD 2.7L 4-Cylinder DOHC 16V Dual VVT-i Toyota Certified Used Vehicles Details: * Roadside Assistance * 160 Point Inspection * Vehicle History * Warranty Deductible: $50 * Transferable Warranty * Powertrain Limited Warranty: 84 Month/100,000 Mile (whichever comes first) from original in-service date * Limited Comprehensive Warranty: 12 Month/12,000 Mile (whichever comes first) from certified purchase date. Roadside Assistance for 1 Year Awards: * 2017 IIHS Top Safety Pick+ * ALG Residual Value Awards * 2017 KBB.com 12 Best Family Cars * 2017 KBB.com 10 Most Awarded Brands * 2017 KBB.com Best Resale Value Awards Here at Treasure Coast Toyota we price our cars online aggressively to the market to ensure you not only get a great car but also a great price. All of our pre-owned do go through our shop and get a full 160 point service. We spend on average around $1500 to bring the vehicle to our standard. Come see us for a hassle free purchase experience and find out why so many customers have made Treasure Coast Toyota their only destination to buy a car! All Pre-Owned prices shown with $2000 customer cash or trade equity, add $895 to all Toyota Certified Vehicles. All prices are for retail customers only - no dealers or locators please. All offers are mutually exclusive, see dealer for complete details. Actual MPG rating will vary with options, driving conditions, habits and vehicle condition. Photos for illustration purposes only and may not represent actual vehicle. Dealer is not responsible for typographical errors. While we make every effort to ensure the data listed here is correct, there may be instances where some of the pricing, options or vehicle features may be listed incorrectly as we get data from multiple sources. . Please confirm the pricing, details and options of any vehicle with the dealer to ensure its accuracy. CARFAX One-Owner. Clean CARFAX. Certified. Super Clean Inside and Out, **POWER DRIVERS SEAT**, **POWER PASSENGER SEAT**, **POWER LIFT GATE**, **TOYOTA CERTIFIED**, **NON SMOKER**, LIMITED, Navigation System. 19/27 City/Highway MPG Blizzard Pearl 2018 Toyota Sienna Limited FWD 3.5L V6 SMPI DOHC Toyota Certified Used Vehicles Details: * Roadside Assistance * Limited Comprehensive Warranty: 12 Month/12,000 Mile (whichever comes first) from certified purchase date. Roadside Assistance for 1 Year * Vehicle History * Powertrain Limited Warranty: 84 Month/100,000 Mile (whichever comes first) from original in-service date * 160 Point Inspection * Warranty Deductible: $50 * Transferable Warranty Here at Treasure Coast Toyota we price our cars online aggressively to the market to ensure you not only get a great car but also a great price. All of our pre-owned do go through our shop and get a full 160 point service. We spend on average around $1500 to bring the vehicle to our standard. Come see us for a hassle free purchase experience and find out why so many customers have made Treasure Coast Toyota their only destination to buy a car! All Pre-Owned prices shown with $2000 customer cash or trade equity, add $895 to all Toyota Certified Vehicles. All prices are for retail customers only - no dealers or locators please. All offers are mutually exclusive, see dealer for complete details. Actual MPG rating will vary with options, driving conditions, habits and vehicle condition. Photos for illustration purposes only and may not represent actual vehicle. Dealer is not responsible for typographical errors. While we make every effort to ensure the data listed here is correct, there may be instances where some of the pricing, options or vehicle features may be listed incorrectly as we get data from multiple sources. . Please confirm the pricing, details and options of any vehicle with the dealer to ensure its accuracy. CARFAX One-Owner. Clean CARFAX. Certified. Super Clean Inside and Out, **BLUETOOTH**, **CRUISE CONTROL**, **TOYOTA CERTIFIED**, **GREAT VALUE**. Priced below KBB Fair Purchase Price! Electric Storm Blue 2018 Toyota Corolla iM FWD 1.8L 4-Cylinder DOHC 16V Toyota Certified Used Vehicles Details: * Limited Comprehensive Warranty: 12 Month/12,000 Mile (whichever comes first) from certified purchase date. Roadside Assistance for 1 Year * Vehicle History * 160 Point Inspection * Roadside Assistance * Powertrain Limited Warranty: 84 Month/100,000 Mile (whichever comes first) from original in-service date * Warranty Deductible: $50 * Transferable Warranty Here at Treasure Coast Toyota we price our cars online aggressively to the market to ensure you not only get a great car but also a great price. All of our pre-owned do go through our shop and get a full 160 point service. We spend on average around $1500 to bring the vehicle to our standard. Come see us for a hassle free purchase experience and find out why so many customers have made Treasure Coast Toyota their only destination to buy a car! All Pre-Owned prices shown with $2000 customer cash or trade equity, add $895 to all Toyota Certified Vehicles. All prices are for retail customers only - no dealers or locators please. All offers are mutually exclusive, see dealer for complete details. Actual MPG rating will vary with options, driving conditions, habits and vehicle condition. Photos for illustration purposes only and may not represent actual vehicle. Dealer is not responsible for typographical errors. While we make every effort to ensure the data listed here is correct, there may be instances where some of the pricing, options or vehicle features may be listed incorrectly as we get data from multiple sources. . Please confirm the pricing, details and options of any vehicle with the dealer to ensure its accuracy. CARFAX One-Owner. Clean CARFAX. Certified. Comes Well Equipped, **TOYOTA CERTIFIED**, **SERVICE RECORDS**, **GREAT FINANCING OPTIONS**, Navigation System. Priced below KBB Fair Purchase Price! 23/30 City/Highway MPG Galactic Aqua Mica 2017 Toyota RAV4 XLE FWD 2.5L 4-Cylinder DOHC Dual VVT-i Toyota Certified Used Vehicles Details: * Powertrain Limited Warranty: 84 Month/100,000 Mile (whichever comes first) from original in-service date * Roadside Assistance * Warranty Deductible: $50 * Limited Comprehensive Warranty: 12 Month/12,000 Mile (whichever comes first) from certified purchase date. Roadside Assistance for 1 Year * 160 Point Inspection * Vehicle History * Transferable Warranty Awards: * 2017 IIHS Top Safety Pick+ * 2017 KBB.com 10 Best SUVs Under $25,000 * 2017 KBB.com Best Resale Value Awards * 2017 KBB.com 10 Most Awarded Brands Here at Treasure Coast Toyota we price our cars online aggressively to the market to ensure you not only get a great car but also a great price. All of our pre-owned do go through our shop and get a full 160 point service. We spend on average around $1500 to bring the vehicle to our standard. Come see us for a hassle free purchase experience and find out why so many customers have made Treasure Coast Toyota their only destination to buy a car! All Pre-Owned prices shown with $2000 customer cash or trade equity, add $895 to all Toyota Certified Vehicles. All prices are for retail customers only - no dealers or locators please. All offers are mutually exclusive, see dealer for complete details. Actual MPG rating will vary with options, driving conditions, habits and vehicle condition. Photos for illustration purposes only and may not represent actual vehicle. Dealer is not responsible for typographical errors. While we make every effort to ensure the data listed here is correct, there may be instances where some of the pricing, options or vehicle features may be listed incorrectly as we get data from multiple sources. . Please confirm the pricing, details and options of any vehicle with the dealer to ensure its accuracy. CARFAX One-Owner. Certified. Super Clean Inside and Out, **TOYOTA CERTIFIED**, **GREAT FINANCING OPTIONS**, **LOW PAYMENTS**. Priced below KBB Fair Purchase Price! 28/36 City/Highway MPG Falcon Gray Metallic 2018 Toyota Corolla LE FWD 1.8L I4 DOHC Dual VVT-i Toyota Certified Used Vehicles Details: * Powertrain Limited Warranty: 84 Month/100,000 Mile (whichever comes first) from original in-service date * Vehicle History * Limited Comprehensive Warranty: 12 Month/12,000 Mile (whichever comes first) from certified purchase date. 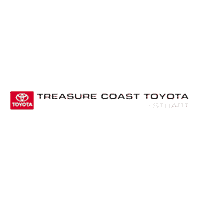 Roadside Assistance for 1 Year * Roadside Assistance * Transferable Warranty * Warranty Deductible: $50 * 160 Point Inspection Here at Treasure Coast Toyota we price our cars online aggressively to the market to ensure you not only get a great car but also a great price. All of our pre-owned do go through our shop and get a full 160 point service. We spend on average around $1500 to bring the vehicle to our standard. Come see us for a hassle free purchase experience and find out why so many customers have made Treasure Coast Toyota their only destination to buy a car! All Pre-Owned prices shown with $2000 customer cash or trade equity, add $895 to all Toyota Certified Vehicles. All prices are for retail customers only - no dealers or locators please. All offers are mutually exclusive, see dealer for complete details. Actual MPG rating will vary with options, driving conditions, habits and vehicle condition. Photos for illustration purposes only and may not represent actual vehicle. Dealer is not responsible for typographical errors. While we make every effort to ensure the data listed here is correct, there may be instances where some of the pricing, options or vehicle features may be listed incorrectly as we get data from multiple sources. . Please confirm the pricing, details and options of any vehicle with the dealer to ensure its accuracy. CARFAX One-Owner. Clean CARFAX. Certified. **TOYOTA CERTIFIED**, **TOWING PACKAGE**, **FULLY SERVICED AND DETAILED**, Entune App Suite, Rear Parking Assist Sonar. Priced below KBB Fair Purchase Price! Magnetic Gray Metallic 2017 Toyota Tacoma SR5 RWD V6 Toyota Certified Used Vehicles Details: * Limited Comprehensive Warranty: 12 Month/12,000 Mile (whichever comes first) from certified purchase date. Roadside Assistance for 1 Year * Vehicle History * Transferable Warranty * Warranty Deductible: $50 * 160 Point Inspection * Powertrain Limited Warranty: 84 Month/100,000 Mile (whichever comes first) from original in-service date * Roadside Assistance Awards: * 2017 KBB.com Best Resale Value Awards * 2017 KBB.com 10 Most Awarded Brands Here at Treasure Coast Toyota we price our cars online aggressively to the market to ensure you not only get a great car but also a great price. All of our pre-owned do go through our shop and get a full 160 point service. We spend on average around $1500 to bring the vehicle to our standard. Come see us for a hassle free purchase experience and find out why so many customers have made Treasure Coast Toyota their only destination to buy a car! All Pre-Owned prices shown with $2000 customer cash or trade equity, add $895 to all Toyota Certified Vehicles. All prices are for retail customers only - no dealers or locators please. All offers are mutually exclusive, see dealer for complete details. Actual MPG rating will vary with options, driving conditions, habits and vehicle condition. Photos for illustration purposes only and may not represent actual vehicle. Dealer is not responsible for typographical errors. While we make every effort to ensure the data listed here is correct, there may be instances where some of the pricing, options or vehicle features may be listed incorrectly as we get data from multiple sources. . Please confirm the pricing, details and options of any vehicle with the dealer to ensure its accuracy. CARFAX One-Owner. Clean CARFAX. Certified. Super Clean Inside and Out, **BLUETOOTH**, **TOYOTA CERTIFIED**, **FULLY SERVICED AND DETAILED**, **WON'T LAST LONG**, **GREAT FINANCING OPTIONS**. Priced below KBB Fair Purchase Price! 28/36 City/Highway MPG Black Sand Pearl 2018 Toyota Corolla LE FWD 1.8L I4 DOHC Dual VVT-i Toyota Certified Used Vehicles Details: * Roadside Assistance * Transferable Warranty * 160 Point Inspection * Powertrain Limited Warranty: 84 Month/100,000 Mile (whichever comes first) from original in-service date * Vehicle History * Warranty Deductible: $50 * Limited Comprehensive Warranty: 12 Month/12,000 Mile (whichever comes first) from certified purchase date. Roadside Assistance for 1 Year Here at Treasure Coast Toyota we price our cars online aggressively to the market to ensure you not only get a great car but also a great price. All of our pre-owned do go through our shop and get a full 160 point service. We spend on average around $1500 to bring the vehicle to our standard. Come see us for a hassle free purchase experience and find out why so many customers have made Treasure Coast Toyota their only destination to buy a car! All Pre-Owned prices shown with $2000 customer cash or trade equity, add $895 to all Toyota Certified Vehicles. All prices are for retail customers only - no dealers or locators please. All offers are mutually exclusive, see dealer for complete details. Actual MPG rating will vary with options, driving conditions, habits and vehicle condition. Photos for illustration purposes only and may not represent actual vehicle. Dealer is not responsible for typographical errors. While we make every effort to ensure the data listed here is correct, there may be instances where some of the pricing, options or vehicle features may be listed incorrectly as we get data from multiple sources. . Please confirm the pricing, details and options of any vehicle with the dealer to ensure its accuracy. CARFAX One-Owner. Clean CARFAX. Certified. ABS brakes, Active Cruise Control, Compass, Electronic Stability Control, Illuminated entry, Low tire pressure warning, Remote keyless entry, Traction control. Priced below KBB Fair Purchase Price! Silver Sky Metallic 2018 Toyota Tacoma SR5 RWD V6 Toyota Certified Used Vehicles Details: * Powertrain Limited Warranty: 84 Month/100,000 Mile (whichever comes first) from original in-service date * Vehicle History * Roadside Assistance * Warranty Deductible: $50 * Limited Comprehensive Warranty: 12 Month/12,000 Mile (whichever comes first) from certified purchase date. Roadside Assistance for 1 Year * 160 Point Inspection * Transferable Warranty Here at Treasure Coast Toyota we price our cars online aggressively to the market to ensure you not only get a great car but also a great price. All of our pre-owned do go through our shop and get a full 160 point service. We spend on average around $1500 to bring the vehicle to our standard. Come see us for a hassle free purchase experience and find out why so many customers have made Treasure Coast Toyota their only destination to buy a car! All Pre-Owned prices shown with $2000 customer cash or trade equity, add $895 to all Toyota Certified Vehicles. All prices are for retail customers only - no dealers or locators please. All offers are mutually exclusive, see dealer for complete details. Actual MPG rating will vary with options, driving conditions, habits and vehicle condition. Photos for illustration purposes only and may not represent actual vehicle. Dealer is not responsible for typographical errors. While we make every effort to ensure the data listed here is correct, there may be instances where some of the pricing, options or vehicle features may be listed incorrectly as we get data from multiple sources. . Please confirm the pricing, details and options of any vehicle with the dealer to ensure its accuracy. CARFAX One-Owner. Clean CARFAX. Certified. Super Clean Inside and Out, **TOYOTA CERTIFIED**, **WON'T LAST LONG**, **LOW MILES**, Alloy Wheel Locks, Cargo Net - Envelope, Carpet Floor Mats & Carpet Cargo Mat (TMS), Preferred Accessory Package. Priced below KBB Fair Purchase Price! Super White 2018 Toyota 4Runner SR5 4WD 4.0L V6 SMPI DOHC Toyota Certified Used Vehicles Details: * Warranty Deductible: $50 * Powertrain Limited Warranty: 84 Month/100,000 Mile (whichever comes first) from original in-service date * Roadside Assistance * Limited Comprehensive Warranty: 12 Month/12,000 Mile (whichever comes first) from certified purchase date. Roadside Assistance for 1 Year * 160 Point Inspection * Transferable Warranty * Vehicle History Here at Treasure Coast Toyota we price our cars online aggressively to the market to ensure you not only get a great car but also a great price. All of our pre-owned do go through our shop and get a full 160 point service. We spend on average around $1500 to bring the vehicle to our standard. Come see us for a hassle free purchase experience and find out why so many customers have made Treasure Coast Toyota their only destination to buy a car! All Pre-Owned prices shown with $2000 customer cash or trade equity, add $895 to all Toyota Certified Vehicles. All prices are for retail customers only - no dealers or locators please. All offers are mutually exclusive, see dealer for complete details. Actual MPG rating will vary with options, driving conditions, habits and vehicle condition. Photos for illustration purposes only and may not represent actual vehicle. Dealer is not responsible for typographical errors. While we make every effort to ensure the data listed here is correct, there may be instances where some of the pricing, options or vehicle features may be listed incorrectly as we get data from multiple sources. . Please confirm the pricing, details and options of any vehicle with the dealer to ensure its accuracy. CARFAX One-Owner. Clean CARFAX. Certified. Super Clean Inside and Out, **TOYOTA CERTIFIED**, **LOW MILES**, **LOW PAYMENTS**. Priced below KBB Fair Purchase Price! 28/36 City/Highway MPG Galactic Aqua Mica 2018 Toyota Corolla LE FWD 1.8L I4 DOHC Dual VVT-i Toyota Certified Used Vehicles Details: * Powertrain Limited Warranty: 84 Month/100,000 Mile (whichever comes first) from original in-service date * Limited Comprehensive Warranty: 12 Month/12,000 Mile (whichever comes first) from certified purchase date. Roadside Assistance for 1 Year * 160 Point Inspection * Roadside Assistance * Warranty Deductible: $50 * Vehicle History * Transferable Warranty Here at Treasure Coast Toyota we price our cars online aggressively to the market to ensure you not only get a great car but also a great price. All of our pre-owned do go through our shop and get a full 160 point service. We spend on average around $1500 to bring the vehicle to our standard. Come see us for a hassle free purchase experience and find out why so many customers have made Treasure Coast Toyota their only destination to buy a car! All Pre-Owned prices shown with $2000 customer cash or trade equity, add $895 to all Toyota Certified Vehicles. All prices are for retail customers only - no dealers or locators please. All offers are mutually exclusive, see dealer for complete details. Actual MPG rating will vary with options, driving conditions, habits and vehicle condition. Photos for illustration purposes only and may not represent actual vehicle. Dealer is not responsible for typographical errors. While we make every effort to ensure the data listed here is correct, there may be instances where some of the pricing, options or vehicle features may be listed incorrectly as we get data from multiple sources. . Please confirm the pricing, details and options of any vehicle with the dealer to ensure its accuracy.